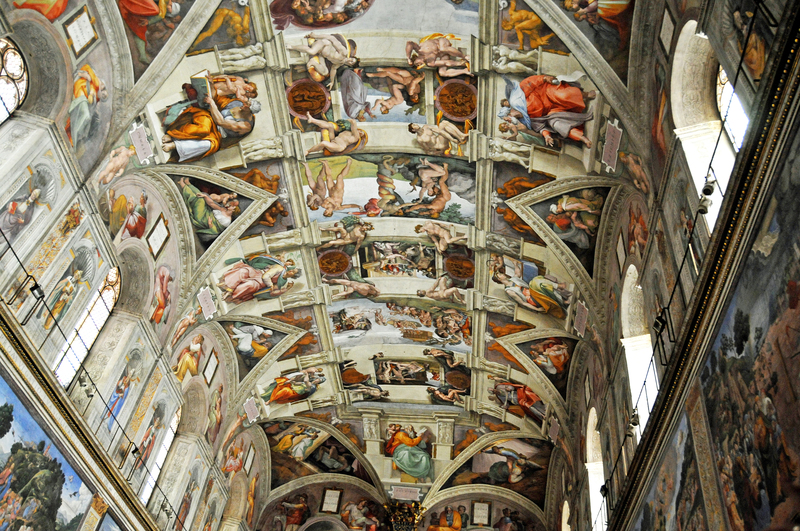 One of the world's greatest artistic treasures, Sistine Chapel was originally called Capella Magna. The site takes its current name from Pope Sixtus IV, who restored the chapel between 1477 and 1480. The structure has long served as a place of both religious and functionary papal activity. It's the site of the papal conclave, the process by which a new pope is selected. The chapel's fame comes mainly from the frescoes decorating its interior. The ceiling, painted by Michelangelo between 1508 and 1512, is the most notable feature and a cornerstone work of High Renaissance art. The ceiling's various elements form part of a larger decoration. The huge fresco entitled "The Last Judgment" is one of Michelangelo's greatest works. Botticelli, Ghirlandaio, and Raphael also contributed to the chapel's impressive interior. Skip the extremely long entry lines by booking a guided tour with the Vatican Museums ahead of time. Use our Vatican City route planner to arrange your visit to Sistine Chapel and other attractions in Vatican City. My advice if you are really big fan of arts and there are not so big line to get inside, you have to go , but definitely you should bring an excursion, because you don’t understand anything in this museum. For me the museum was neutral, but I didn’t sorry, because I realized it for my personal experience and didn’t stand in a large queue. Breathtaking. Words and pictures do not do it justice. Intricately designed and flawlessly painted. I highly recommend the skip the line early entry tickets to see it with less of a crowd. Breathtaking art throughout the Vatican, especially the Sistine Chapel. Go with a very small group. Long lines, very warm chapel because of the body heat. It was worth the trip and money! Would love to visit again. This is where Google is missing a trick... some places need an extra star and then some. EVERYONE should have this on their bucket list as it is just superb. A fantastic set of frescoes, painted by one man who considered himself a sculptor first and foremost. It is simply breath-taking... Prepare to crick your neck!!! Every day, we help thousands of travelers plan great vacations. Here are some tips on how to use your Listing Page to attract more travelers to your business - Sistine Chapel. Promote your permanent link - https://www.inspirock.com/italy/vatican-city/sistine-chapel-a97226309 - on your website, your blog, and social media. When a traveler builds a plan from this page, the itinerary automatically includes Sistine Chapel. 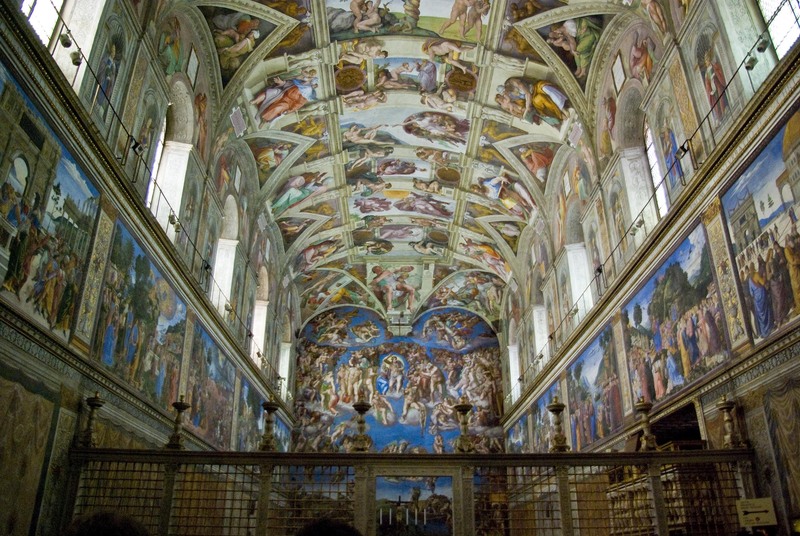 This is a great way for travelers looking for a great vacation in your city or country to also experience Sistine Chapel. Promoting your link also lets your audience know that you are featured on a rapidly growing travel site. In addition, the more this page is used, the more we will promote Sistine Chapel to other Inspirock users. For best results, use the customized Trip Planning Widget for Sistine Chapel on your website. It has all the advantages mentioned above, plus users to your site can conveniently access it directly on your site. Visitors to your site will appreciate you offering them help with planning their vacation. Setting this up takes just a few minutes - Click here for instructions.